None of us can drive forever but deciding when it is time to give up the wheel is one of the most wrenching decisions a person has to make as they age. Emotionally, there are few things in your life that represent a loss of independence more than relinquishing your driver’s license. 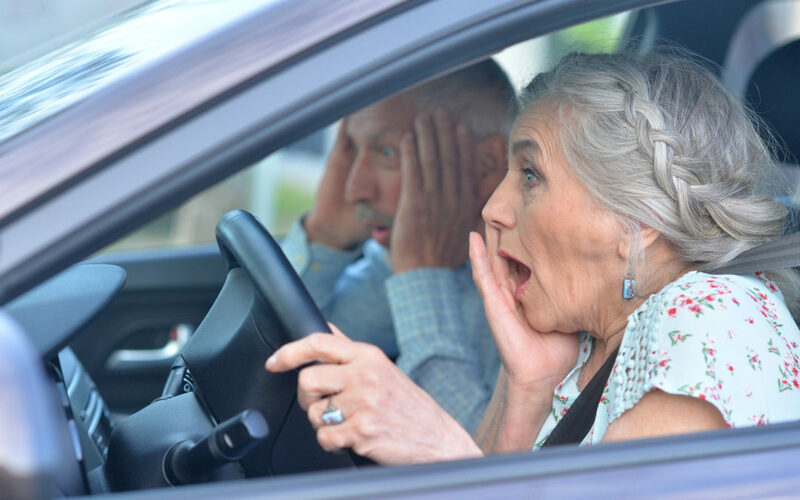 Many seniors drive safely into their 80’s and beyond, but it is also common for elderly people to have vision and hearing problems, slowed reaction time and illnesses that jeopardize their ability to drive safely. Here are 5 things to consider when assessing your own ability to drive, as well as that of loved ones. 1) Physical and mental impairments, such as Parkinson’s Disease and dementia, can compromise one’s ability to drive. If these are becoming issues in your life, consult with a physician and raise the issue of driving safety. 2) Good vision is obviously critical to being able to drive safely. According to Elizabeth Dugan, author of The Driving Dilemma, states that “90 percent of the information needed to drive safely relates to the ability to see clearly.” This includes accurately reading the speedometer to detecting pedestrians on the side of the road. Deterioration in vision as we age is inevitable. Be sure to have regular eye exams and check with your eye doctor to address concerns. 3) Hearing Impairment is also almost inevitable as we age. One-third of people over 65 have hearing problems. It is usually a gradual loss and it undermines the ability to hear horns, screeching tires, sirens and other sounds that normally put you on high alert. Again, make sure you have regular hearing tests. 4) The prevalence of prescription drugs is greater among the elderly. Some drugs can cause drowsiness, blurred vision, confusion, tremors or other side effects. Educate yourself about your drug intake and how multiple drugs might interact. Making the transition from independent driver to a passenger can be difficult, but there are plenty of alternatives (Uber, Lyft, paratransit services) to make your life easier. And, please remember to make all decisions on the side of safety.